Description: Entrance To Washington Water Works, Great Falls, Potomac River, circa 1861-1865. 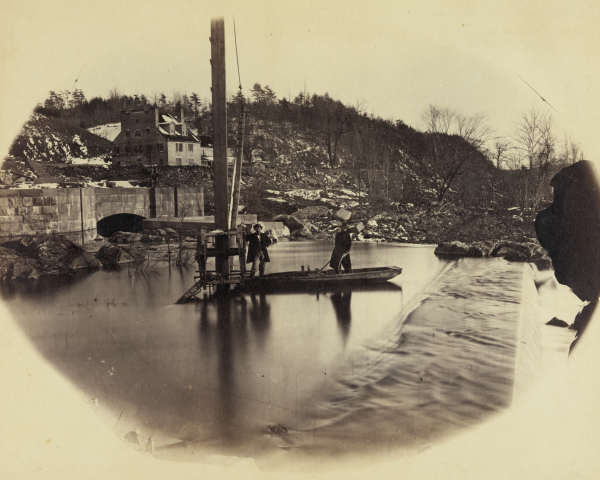 Photograph shows two men standing in a small flat boat near the spillway. 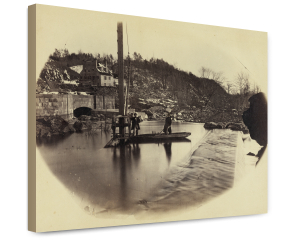 Date: Between 1861 and 1865.